A 33-year-old man has been found guilty of theft, driving offences and police assault. 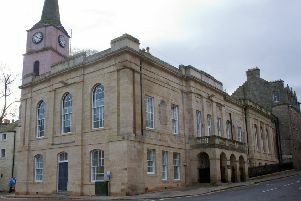 Martin Charlotte was sentenced to eight months in prison at Jedburgh Sheriff Court. Following several incidents in the Drumlanrig Square area last Wednesday at around 7.30pm, which saw property and a vehicle being stolen, Charlotte was detained after the vehicle was subsequently found. During this incident, a police officer was assaulted and required minor medical care. Charlotte was then arrested and charged with offences including slip-in theft, theft of a motor vehicle, driving while disqualified and police assault.